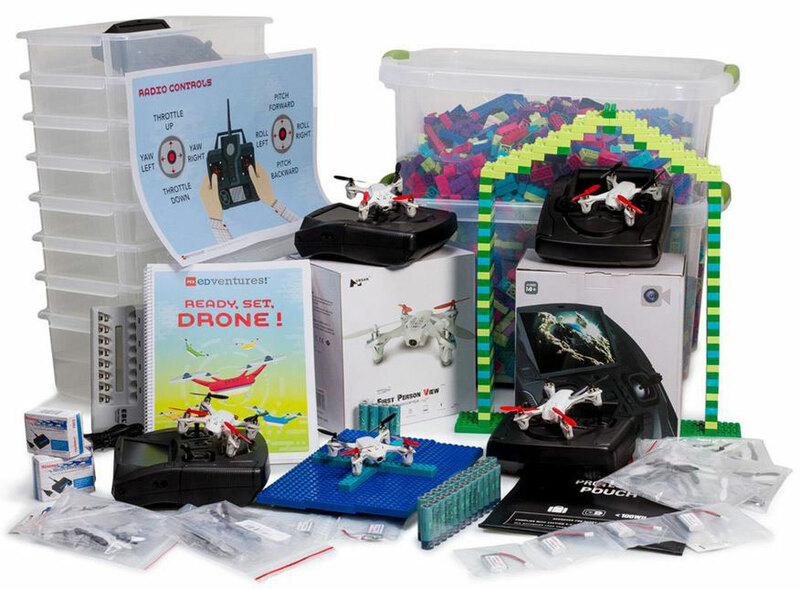 Our complete drone educational package includes: Instructor Guide, digital curriculum download and supplies for 12 days of activities! Save on your purchase with our our discount code at checkout! In this indoor camp, safety is a priority as students learn to fly in first-person view (FPV), exploring the real-world applications of drones. In Ready, Set, Drone! Camp students go through Droneology, the online drone education platform, master basic piloting skills, construct an obstacle course to fly through and stage a final race to showcase their cumulative knowledge. Putting critical thinking to the test, the camp also has students brainstorm ways drones could be used for good, sketching out their ideas for new and innovative drones and drone uses. 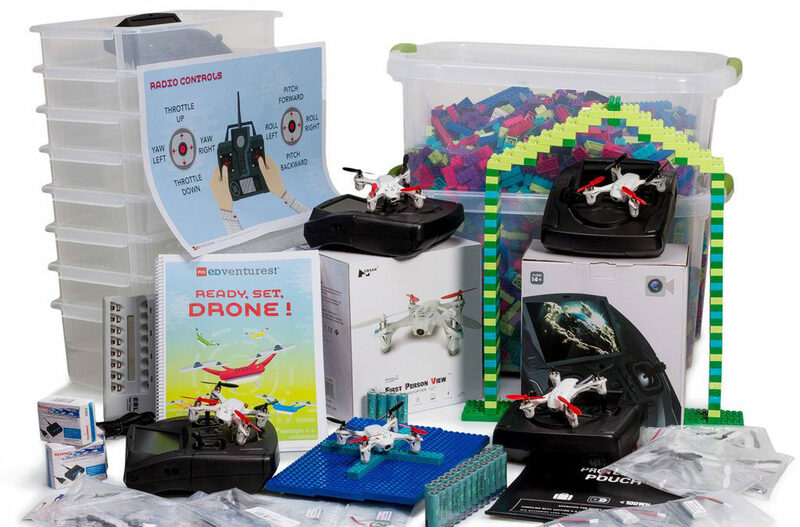 The curriculum includes quizzes to test student’s drone knowledge, and flight challenges to test their piloting skills. ISTE 1d Students understand the fundamental concepts of technology operations, demonstrate the ability to choose, use and troubleshoot current technologies and are able to transfer their knowledge to explore emerging technologies. ISTE 2b Students engage in positive, safe, legal and ethical behavior when using technology, including social interactions online or when using networked devices. ISTE 7c Students contribute constructively to project teams, assuming various roles and responsibilities to work effectively towards a common goal. NGSS 5-PS2-1 Support an argument that the gravitational force exerted by Earth on objects is directed down. CCSS.MATH.CONTENT.6.SP.B.5.C Summarize numerical data sets in relation to their context, such as by giving quantitative measures of center (median and/or mean) and variability (interquartile range and/or mean absolute deviation), as well as describing any overall pattern and any striking deviations from the overall pattern with reference to the context in which the data were gathered.